The juggernauts behind the mighty Digital Abstracts started up a side project called Creative Cards, where they have 54 playing cards designed by 54 artists. I was pretty thrilled when I woke up one morning to see an invitation to the project sitting in my inbox. Real thrilled as I’ve been a fan of Digital Abstracts for years now. 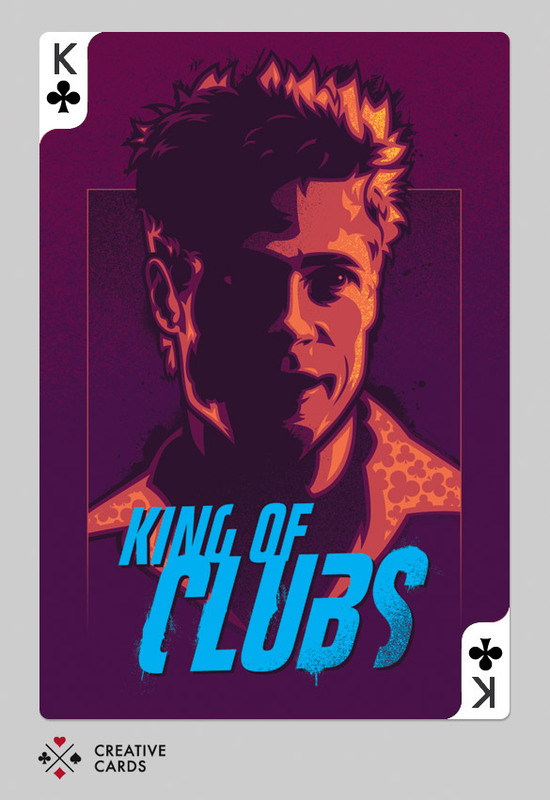 When they opened the floodgates to select a card, I was lucky enough to grab the King of Clubs. I wanted a face card so I was pumped. I started out wanting to do something involving Skeletor, for whatever reason. See, dumb things happen when I’m alone in my office at night. I got pretty far in designing it too, so you might see some kind of Skeletor-related thing appear on the blog in the near future. Fair warning. Completely unrelated at the time, but I decided I wanted to watch FIGHT CLUB the other day as I haven’t seen it in a while. The better idea hit me as soon as I glanced at the DVD cover, so I got to it. Always wanted to do something involving Tyler, one of my favorite film characters of all time. Be sure to check out the other Creative Cards already displayed. Some killer stuff in there by some of my favorite artists. Can’t wait to see the entire deck in person. Great work as usual! 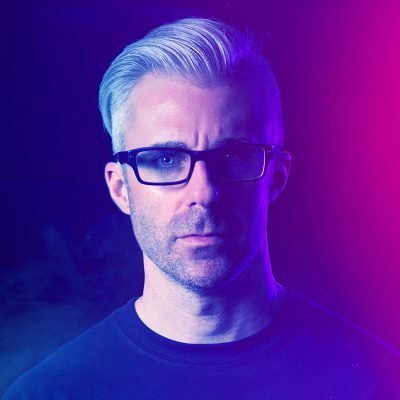 Next a Signalnoise complete playing card set! One of my fave films too, great twist on the King of Clubs! Love it! Fantastic job, as usual, James. Love it! Excellent choice in movie character too! Great work. Loving this style of portraits you’ve been doing recently! Tyler Durden… Epic! As is your playing card interpretation… Epic solution and execution!